The University of Portland baseball program is proud to present its 16th annual Diamond Dinner, the official kick-off and premier fundraising event for Pilots baseball. It will be hosted in the Beauchamp Recreation and Wellness Center on Saturday, February 27. The social and silent auction open at 6 p.m., and the dinner and program begin at 6:45 p.m. 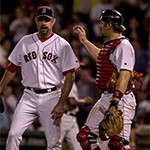 This year’s guest speaker will be 2004 World Series Champion Alan Embree of the Boston Red Sox (pictured). Tickets are limited and reservations are required. To attend this event, please register at up.edu/DiamondDinner. For questions about the event, contact Laura Hanna at 8607 or hanna@up.edu. The Pilot baseball team’s annual fund raiser, the Diamond Dinner, has been rescheduled for Saturday, March 1 due to inclement weather conditions over the weekend of February 8. The rescheduled event will begin at 5:30 p.m. in the Bauccio Commons, and will feature Major League Baseball manager Dusty Baker as guest speaker. Additional details will be posted at up.edu and PortlandPilots.com. 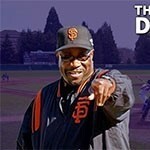 The athletics department is excited to announce that Major League Baseball manager Dusty Baker will be speaking at the 13th annual Diamond Dinner, sponsored by Red Lion Hotel on the River. The Diamond Dinner has become Pilot baseball’s primary fundraiser and is scheduled for Saturday, February 8, in the Bauccio Commons. Tickets are $55 each or $440 for a table of eight and is open to the public. Festivities begin with a social hour and a silent auction starting at 5 p.m.; dinner is scheduled for 6:30 p.m., and the program is planned to begin at 7 p.m. Anyone interested in attending should contact Laura Hanna, development, at 8607 or hanna@up.edu.